At The Holly, residents are surrounded by the highest quality amenities from a co-working lounge with free printing, 2 large resort-style pools, private lake front with catch and release fishing, outdoor basketball courts, and a fully equipped JIM Fitness Center. 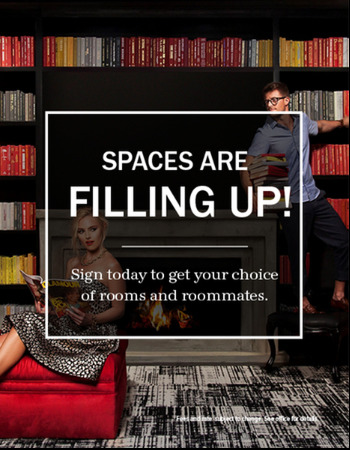 Our residents make themselves at home in spacious, fully furnished apartments. The Holly provides the ultimate environment for active students in Lubbock, Texas at a great price. We're just minutes from Texas Tech University and with our private shuttle service, transportation is easy. Retreat to our stunning private lake, where you can walk along the beachfront, hang with friends on the floating deck, and go catch and release fishing. Our fully furnished apartments come with full-size kitchens, washer and dryer sets, and private bathrooms for each resident. Plus, we offer individual leases to fit your needs. Our beautiful grounds feature multiple courtyards to lounge with friends or host an outdoor study session. You can also get some fresh air at our community barbecue grills, picnic areas and lighted jogging track. Our clubhouse is complete with a JIM Fitness Center, Library and Business Center. Plus, a game room and big screen TV are available for you to enjoy.